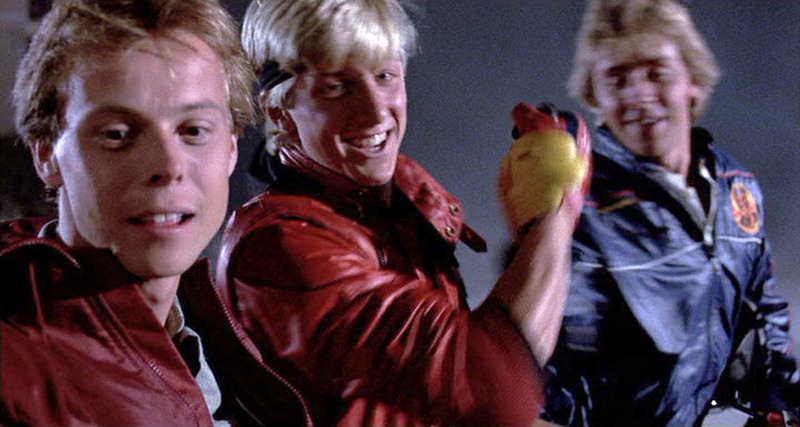 Things are gonna be different for Johnny Lawrence (William Zabka) this year. Everything is going to go his way as a senior. Look who’s back, Nathan wasn’t merely satisfied his inclusion on two previous posts (Here and here). 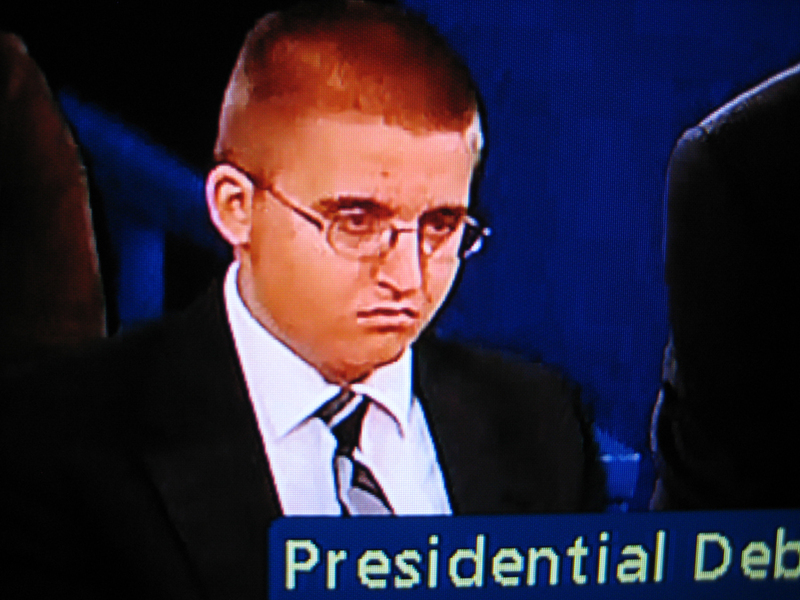 He had more unfortunate facial expressions to offer us. Oh man, where to start? 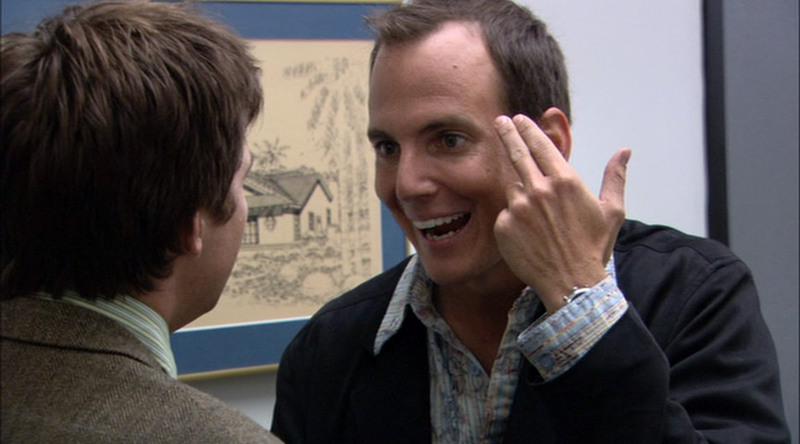 It looks like Gob just watched Street Fighter and felt like Raul Julia called him out (Seen here). Wide eyes? Check. Open mouth? Check. Imaginary weapon pointed at your temple? You bet. Loaded up on some form of prescription drug? Undoubtedly. 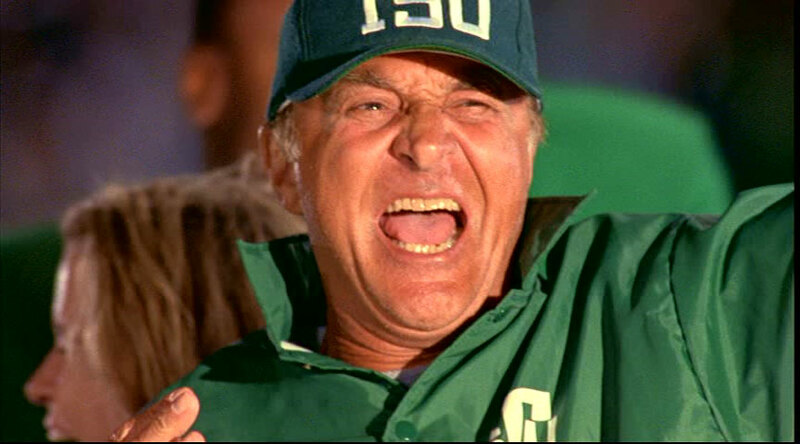 Meet coach Wally Rig (Robert Loggia) of the Texas State University Armadillos.